Scottish Secretary David Mundell has insisted the UK Government will take “all necessary steps” to ensure Heathrow’s expansion is the catalyst for more flights to Scotland. The Tory frontbencher said this would include requiring the airport to ring-fence a proportion of the new capacity for domestic routes to enhance regional connectivity. But he refused to put a figure on what percentage should be earmarked. 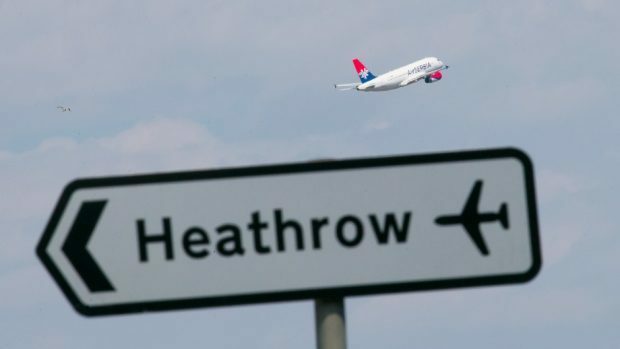 Earlier in the Commons, UK Transport Secretary Chris Grayling indicated Heathrow expects to add six new domestic routes across the UK by 2030, bringing the total to 14. Mr Grayling also raised the prospect of employing public service obligations – subsidy auctions for non-commercially viable routes – to guarantee the slots. Mr Mundell, who was on the committee of ministers that backed Heathrow, claimed it was important to reverse the decline in the number of flights between Scotland and London’s biggest airport in the past 10 years. As well as building on existing links from Aberdeen and Inverness, he highlighted the potential for a direct connection from Prestwick and added he would be drawing Heathrow’s attention to the “merits” of creating a Dundee link. He maintained he was committed to guaranteeing future expansion led to increased choice in destinations, airlines and flight times and lower costs for customers. And he revealed there had been suggestions services such as catering and technical support could be provided off site at Inverness. Business leaders and campaign groups across the north and north-east welcomed the go-ahead for a third Heathrow runway. But they vowed to hold the government to account and keep up pressure to ensure promises around regional connectivity were delivered. There was also criticism of the lengthy process still to come. Following the much-delayed decision, which went with the recommendation of the Airports Commission’s final report, there will now be a public consultation. Only then will it be put to the Commons for a vote in the winter of 2017-18, meaning it will be at least another year before the final decision in the already protracted process is implemented. Mr Mundell said his input had been and would continue to be focused on getting the slots for Scotland. He added: “I think there is a widespread recognition domestic services are at the bottom of the pecking order at Heathrow and they are always the services that are cancelled if there are issues.